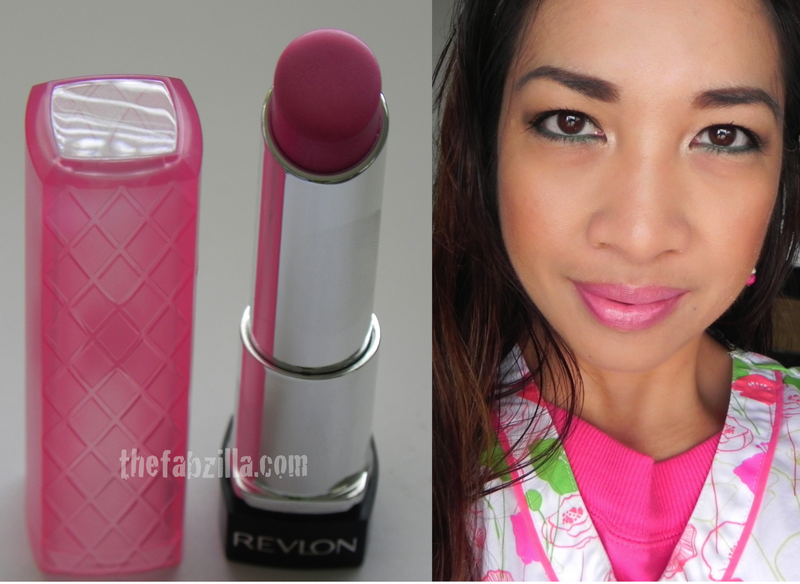 This is my third Revlon Lip Butter purchase and most probably the last. Not that it’s bad but I don’t need to own every shade there is. I think I already have a pretty mix of neutral (Creme Brulee), coral (Tutti Frutti) and pink (Cotton Candy). Check out my previous post for a more in-depth review of these beauties, click here. Cotton Candy (045) is medium pink with subtle gold sheen. The wearability is about three hours, with medium to full coverage depending on how many times you glide it over your lips ~> 3x for moi in reference to above picture. Two-cents worth: 4/5 Must- try but don’t expect it to be the miracle lip balm-slash-lipstick. It’s a nice lippie to own and carry around when you’re out and about.